Students can choose from bachelors or masters degrees or professional studies. Emerson is NOT a MyCAA approved school. 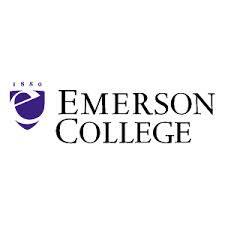 Emerson College offers educational programs that prepare undergraduate and graduate men and women to assume positions of responsibility and leadership in communication and the arts and to pursue scholarship and work that brings innovation to these disciplines. Established in 1880 as a small, regional school of oratory, Emerson has evolved into a diverse, coeducational, and multifaceted degree-granting institution with a liberal arts rather than conservatory orientation. But its mission and focus remains largely the same as it was in 1880: to explore and push the boundaries of communication, art, and culture and, thereby, to contribute to the advancement of society.